And you should too. 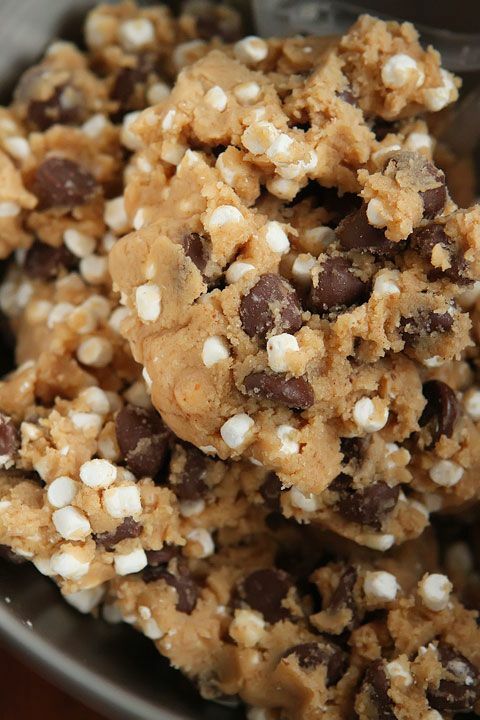 I saw this photo on Pinterest of just the dough for these cookies and I wanted to run to the store and get those mini-mini-marshmallows. You all know my obsession with tiny food. Then I read the rest of the recipe and knew I had to go to the store ASAP for cinnamon graham crackers AND mini-mini-marshmallows. You guys – these are good. Really, really good. 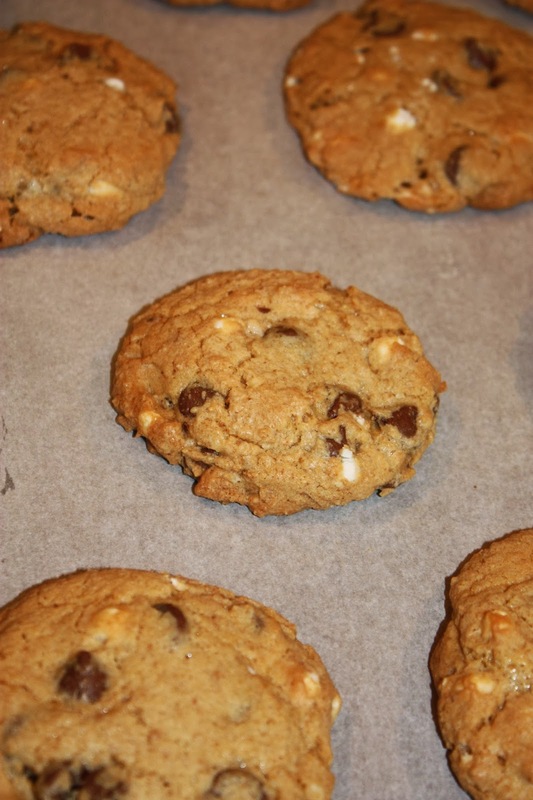 Chewy and sweet and different than just chocolate chip cookies with marshmallows, thanks to the ground up graham crackers. Now as Lauren pointed out, yes, you could buy already ground up graham crackers at the store and save yourself, and your food processor, some time. However, Amanda said, “Definitely try these cookies with the cinnamon grahams! It adds the perfect, tiniest hint of cinnamon to these cookies that just sends them over the top.” And it does. If you are going to the trouble to buy the tiny marshmallows just grab some cinnamon graham crackers too. I also made one change to the recipe. I like my cookies to spread out a bit. I think it makes them chewier and less cake like. So I subbed the 1 tsp baking power for 1 tsp baking soda and it was perfect. Head over here and make these this weekend. It is like you are camping without the bugs and public/no restrooms.